Evans/Davis Fundraising Counsel LLC is a full service fund-raising organization. Challenges and changes in the philanthropic marketplace have increased the demand for professional, innovative and contemporary fund-raising counsel. The firm of Evans/Davis Fundraising Counsel LLC of New Albany, Ohio has been organized to respond to these changes. The firm specializes in programs and services designed to attract charitable giving to its clients. Working together we can effect change. We can put our minds and hearts together to make the world a better place: to build hospitals, schools, churches and museums; to provide for those less fortunate, and to lay a foundation for the future. 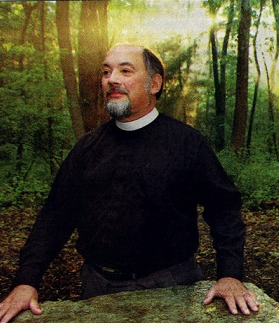 Michael Davis’ career has been distinguished by directing successful fund-raising campaigns for such diverse organizations as St. Matthew’s Episcopal Church (Westerville, Ohio), Union Hospital (Dover, Ohio) Trinity Episcopal Church, (Myrtle Beach, SC), the North Indiana Conference of the United Methodist Church (Marion, Indiana), The Episcopal Diocese of New Hampshire and many others. For nearly 10 years he was a consultant and campaign director for Ward, Dreshman, Reinhardt & Co., Worthington, Ohio, and served on their board for nearly seven of those years. WDR was one of the nation’s leading firms in church and church-related fund-raising. His years of experience with that firm helped him to create an understanding of the fund raising needs of churches and other not-for-profit organizations. Working with John D. Evans, Michael began the firm of Evans/Davis & Company to continue the providing churches and other not-for-profit organizations with professional guidance and assisting them with the planning and development of capital campaigns as well as annual/stewardship and planned-giving programs. The firm, now Evans/Davis Fund-raising Counsel, is one of only a few fund-raising firm’s in the country that assists churches and other organizations with the development of a long-range vision plan. Since the firm’s beginning Michael and his team of professionals have provided fund-raising guidance to numerous Churches nationwide. In addition, they have guided and develop programs for such organizations as Hospitals, YMCA’s, Boys and Girls Clubs, Historical Societies, Museums and Private Schools. A graduate of The Ohio State University, Michael received a degree in Journalism with emphasis on broadcasting and public relations. David is a native Cincinnatian, with family going back in the greater Cincinnati area for five generations. His early passion was for science, and he holds both a B.S. and a Ph.D. in Chemistry. After working in industry for eighteen years, both as a scientist and as a manager, David was made aware of a new passion: a call from God to enter ordained ministry. After the appropriate formation, he was ordained a Deacon and then a Priest in the Episcopal Church. For the last fourteen years, he has served (and continues to serve) Episcopal congregations in the Diocese of Southern Ohio. David has also been on the boards of a variety of non-profit organizations (and has co-founded two) and is currently on the board of the Llanfair Retirement Community in Cincinnati, and on the board of the North American Province of the Society of Ordained Scientists. The experience of having two very different life careers has helped David understand how passion forms the foundation for effective mission and ministry. His core passion right now is to assist others in discovering their own passion, and then helping them to align that passion with the mission and ministry that God has given them. David is excited that his association with Evans/Davis will allow him to more effectively help others achieve the mission and ministry God has given them.